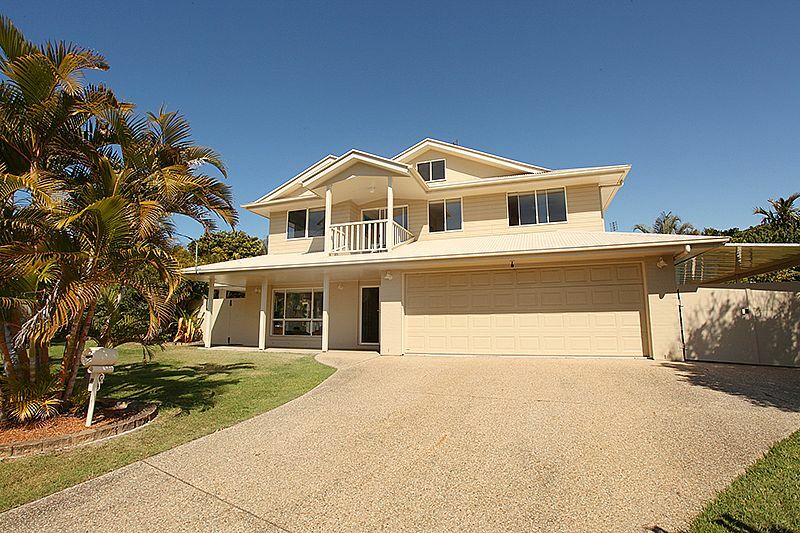 This five bedroom beach house thats nestled in a quiet cul de sac in central Coolum. Perfect for a large family or two groups to holiday together - if space is what you are after look no further. With features such as swimming pool, outdoor gazebo area all members of the family including your pooch will be delighted. Downstairs of this large two storey home provides a bedroom with queen size bed, a bathroom with toilet and shower. The bi fold doors open onto an amazing landscaped in ground pool and gazebo area. The covered and tiled gazebo area with down lights will be well used as the family laze by the pool or enjoy a BBQ. 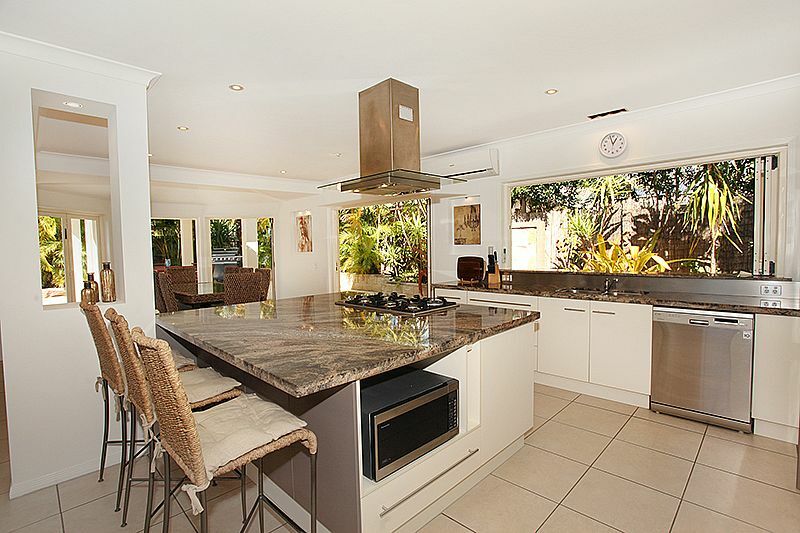 There is also a chef kitchen located downstairs with granite bench tops and massive island bench with breakfast bar to cater for your guests. Upstairs you will find the remaining four bedrooms that are separated from the busy living area. The master suite provides ensuite with a large corner spa bath to soak in after a day at the beach & a separate shower recess, polished timber floor and walk in robe complete the master bedroom. Three additional bedrooms with polished floors, ceiling fans and walk in robes ensure everyone is catered for. A double remote garage with internal access is provided, and should you wish to bring the boat or an additional car – there is plenty of room down the side. Ticking all the boxes for your next holiday escape, book today and not be disappointed. Master Bathroom: Vanity, shower, separate toilet.